COL Oden was born in Indianapolis Indiana. He enlisted in the U.S. Air Force in November 1974. 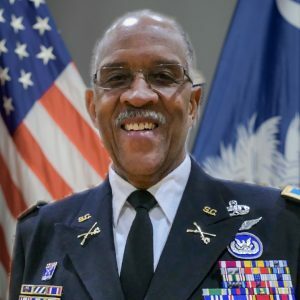 He served 23 years and retired as the Senior Network Administrator responsible for four Fighter Squadrons and associated unit’s computer and network systems to include secure networks for the 20th Operations Group, Shaw Air Force Base South Carolina. He also served as the Noncommissioned Officer in Charge of the 20th Fighter Wing’s Air Expeditionary Force deployment to Doha Qatar in support of Operation Southern Watch, responsible for 25 F-16s flying combat missions and 350 personnel to include maintenance, medical and supply. He retired from the Air Force in December 1997. While serving in the Air Force he received multiple awards, ribbons and medals to include, Graduate United States Air Force Senior Noncommissioned Officer Academy, Distinguished Graduate and member of the Honor Flight for Tactical Air Command Noncommissioned Officer Academy, Honor Graduate Noncommissioned Officer Leadership School, the Air Force Achievement Medal with one oak leaf cluster, the Air Force Commendation Medal with one oak leaf cluster and the Air Force Meritorious Service Medal. He went to work for Kershaw County School District in October 1996 as a computer technician and retired in August 2016 as their Senior Systems Administrator. While employed at Kershaw School District he was responsible for email, network security and operating systems for over 12,000 students and faculty and over 11,000 computers and servers. During his time at Kershaw County School District he was chosen to present at the first International 1 to 1computing conference in Atlanta GA.
COL Oden joined the South Carolina State Guard in 1998 and has served in positions as Company Executive Officer, Company Commander, Battalion Executive Officer, Battalion Commander, Brigade S-1, Division Special Projects Officer, Inspector General and the present position of Deputy Chief of Staff for Cyber Security and Intel. 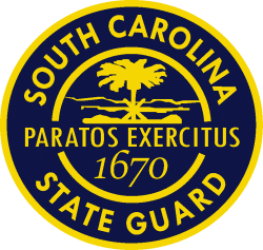 In the position of DCS for Cyber Security he has spearheaded the formation of the first ever Cyber Detachment for the South Carolina State Guard. While serving in the State Guard he has received multiple awards, ribbons and medals to include the State Guard Senior Aviation Badge, the State Guard Master Level Security Specialist Badge, the State Guard Commendation Medal and the State Guard Meritorious Service Medal. He is married to the former Miss Janice Hunter, they have three children and eleven grandchildren.